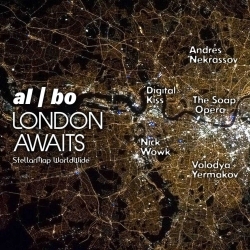 Song "London Awaits" firstly appeared in 2013 when al | bo has voice recording for his "al | bo tronica" compilation. In 2015 Chelyabinsk club project "Digital Kiss" create your own original deep house version has taken status of a national club hit with supporting by main federal russian and regional state dance FM-radios. The success of London Awaits called the russian electronic music label Stellar Map WorldWide for full EP publishing. EP remixes created in 2015 by Nick Wowk (New Disco), The Soap Opera (Deep House), Andres NekrassoV (Disco-House), Volodya Yermakov (Progressive House) and Digital Kiss (Deep House). 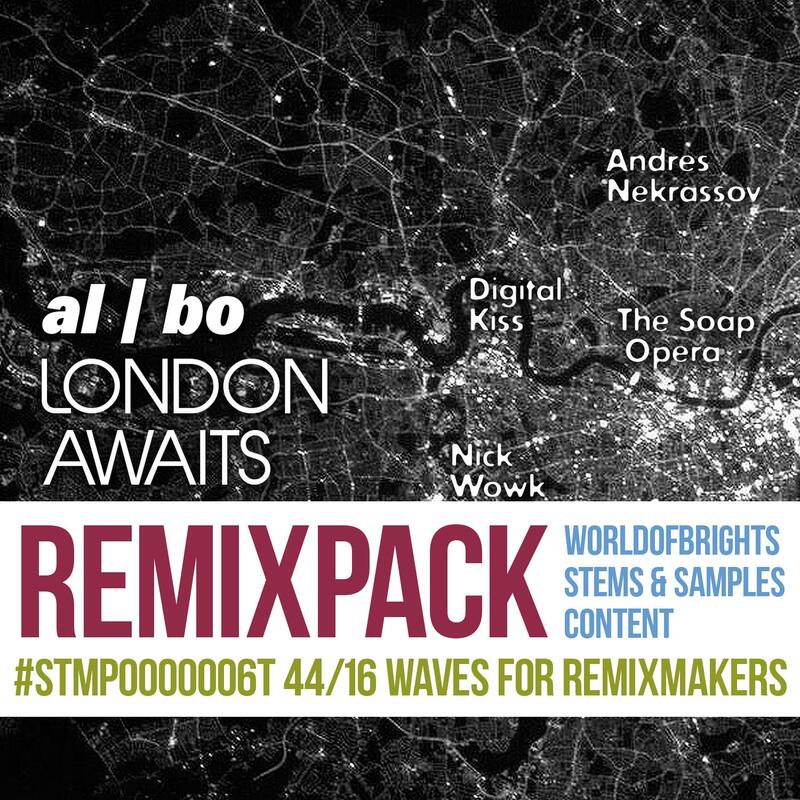 The original mix of EP track al | bo held at Trance / Progressive House - basic styles of WorldOfBrights / Stellar Map WorldWide labels.